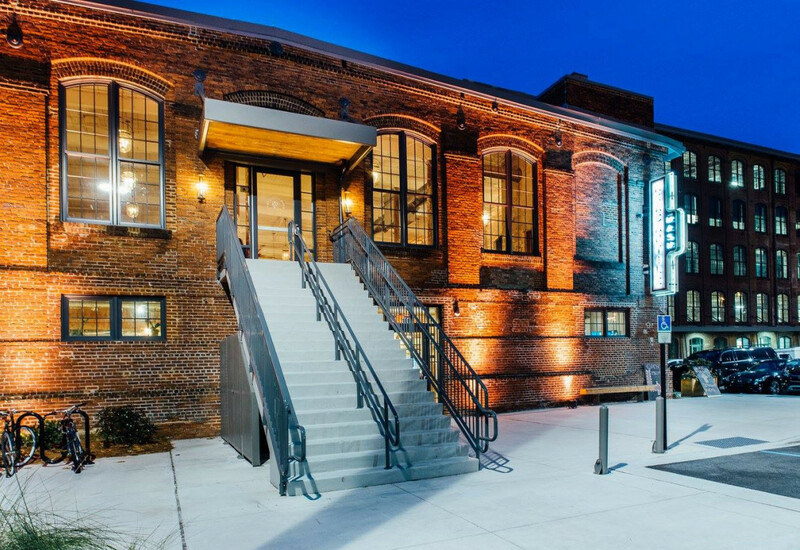 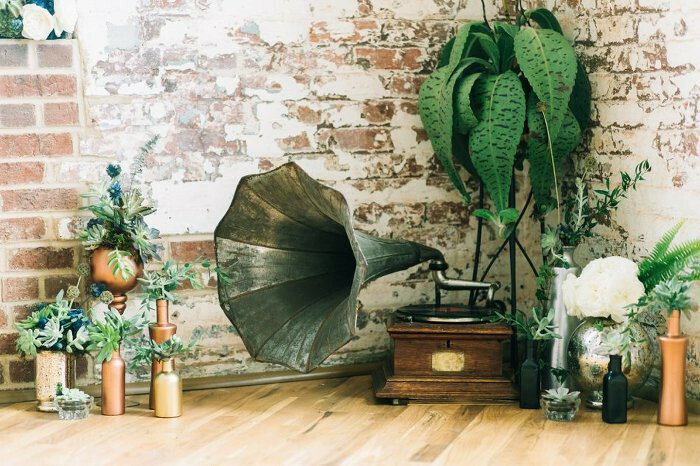 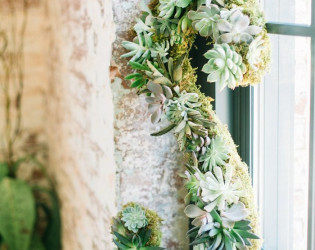 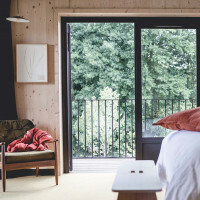 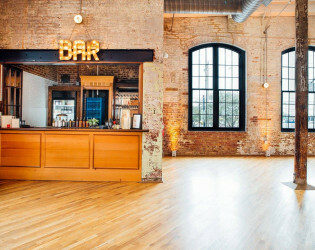 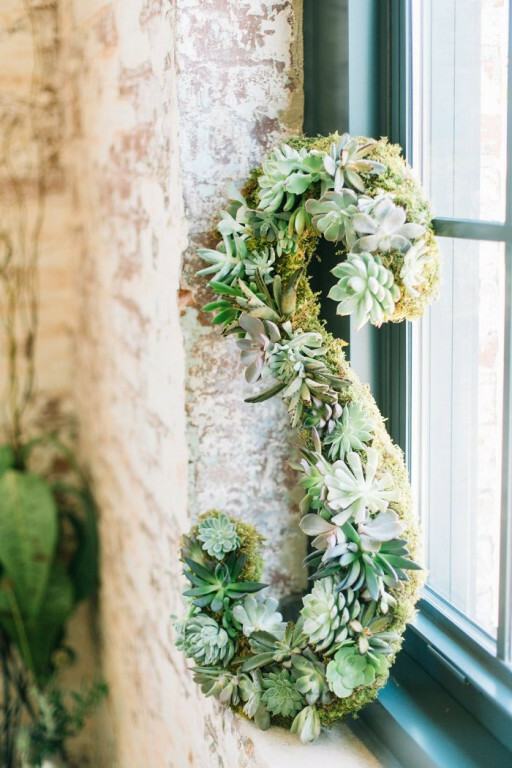 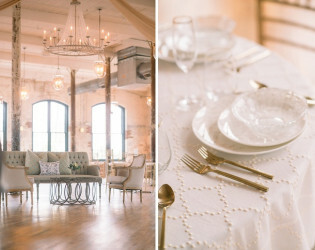 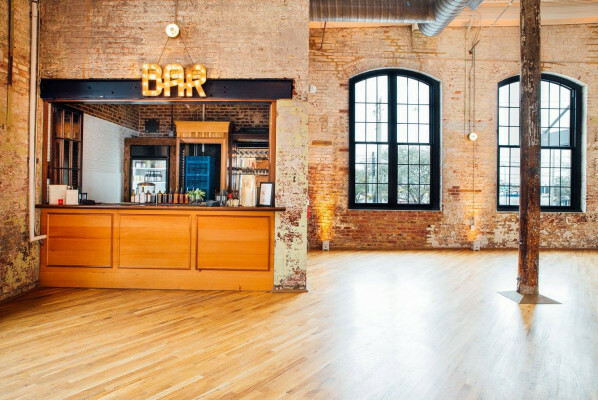 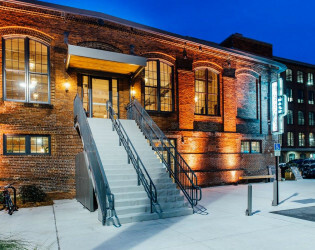 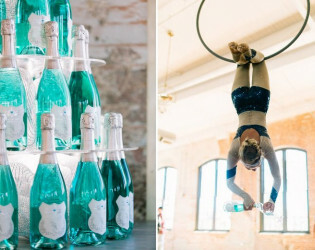 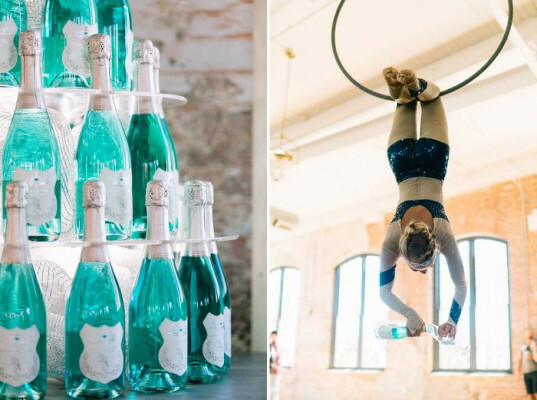 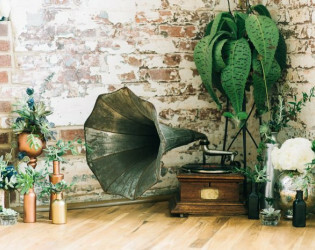 Fete in fabulous style at this former cigar factory turned architectural gem. 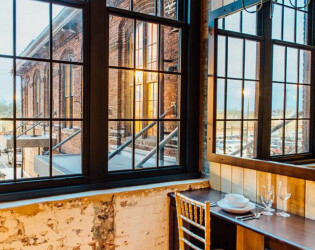 Built in 1881, this restored building features exposed brick walls, antique structural elements, chandeliers, and a 1,500sqft courtyard. 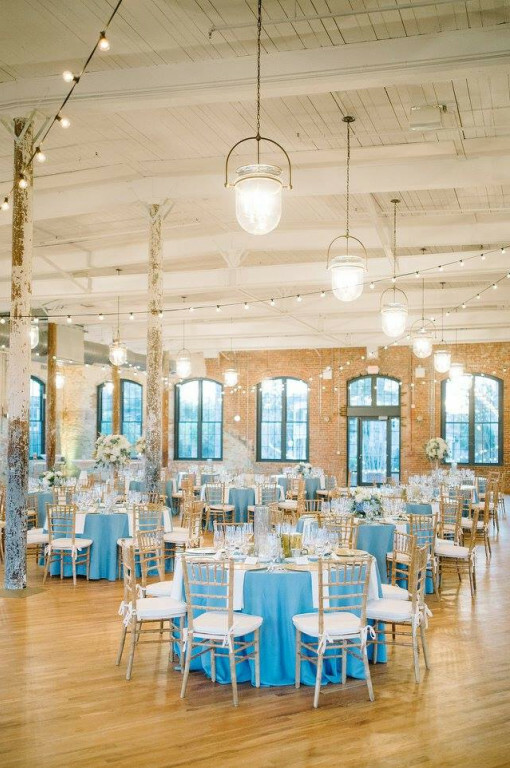 At it's height, the factory was producing over 400,000 cigars daily and now solely produces elegant events of all shapes and sizes. 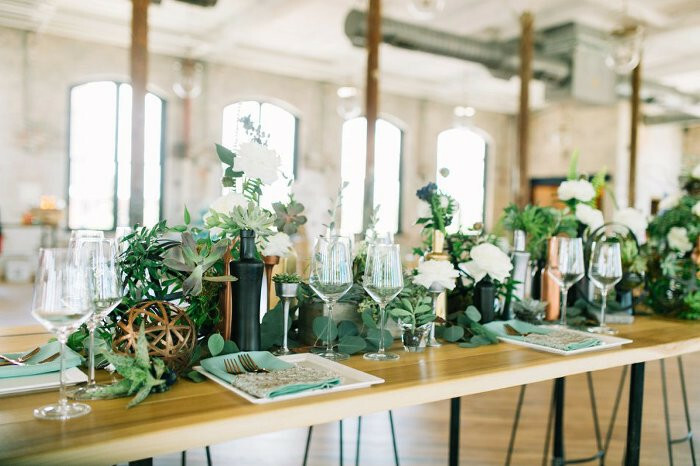 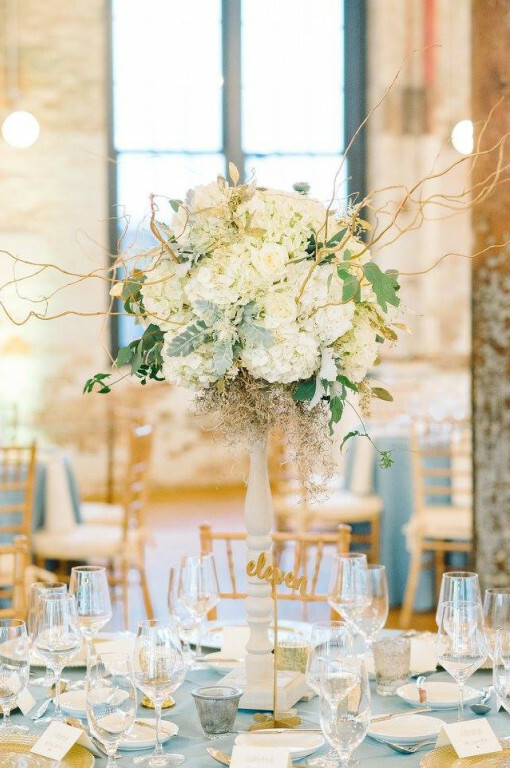 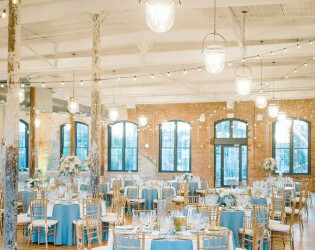 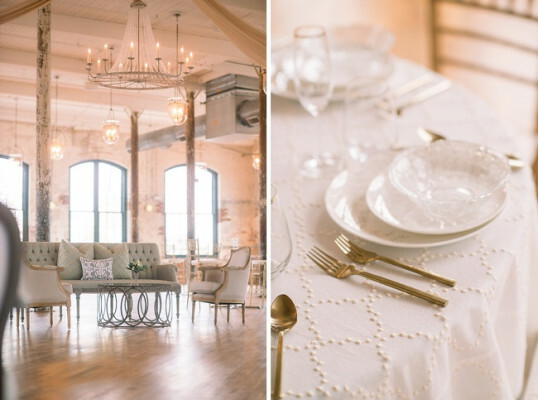 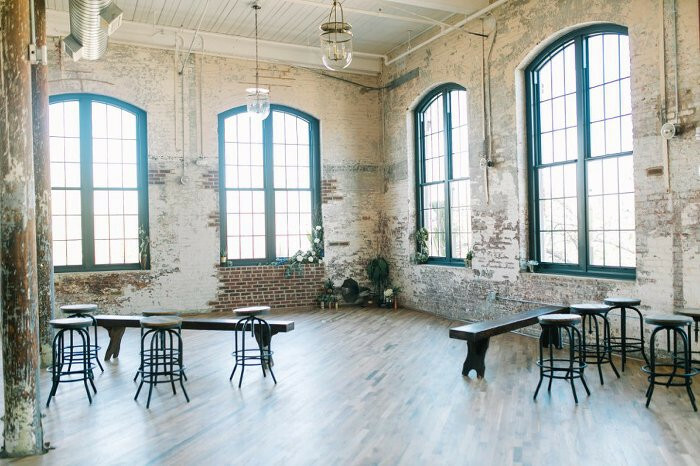 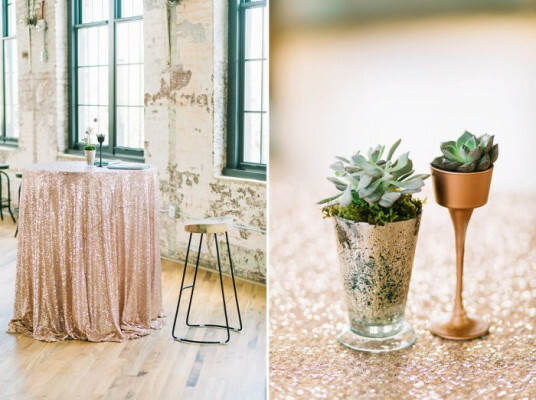 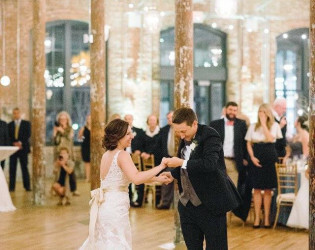 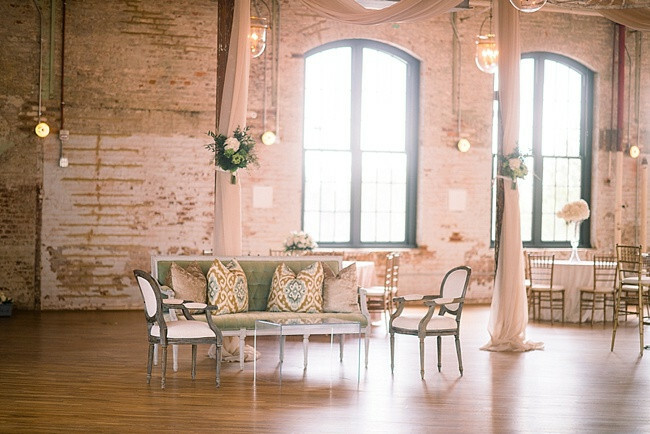 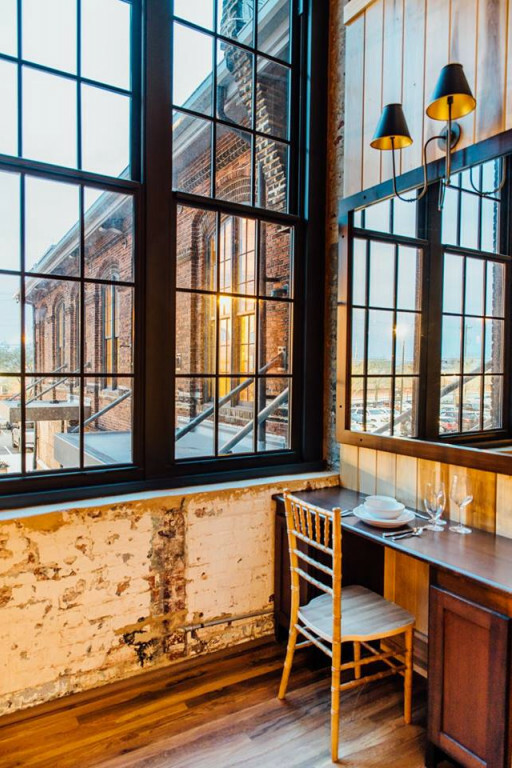 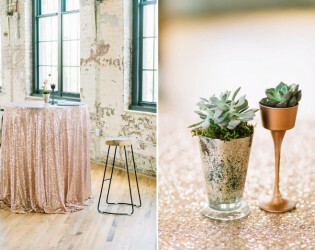 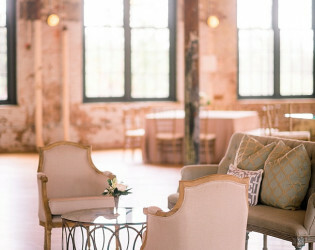 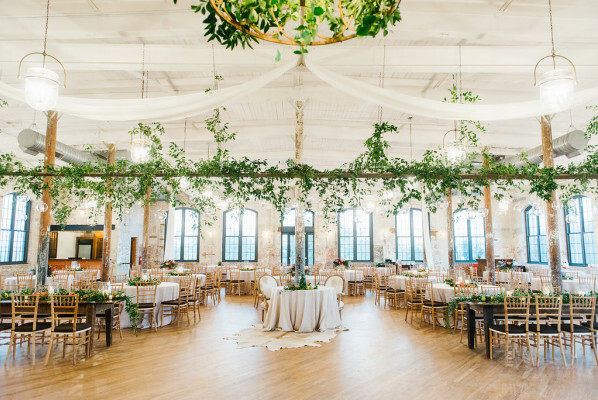 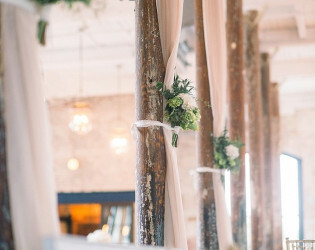 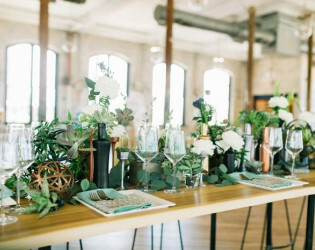 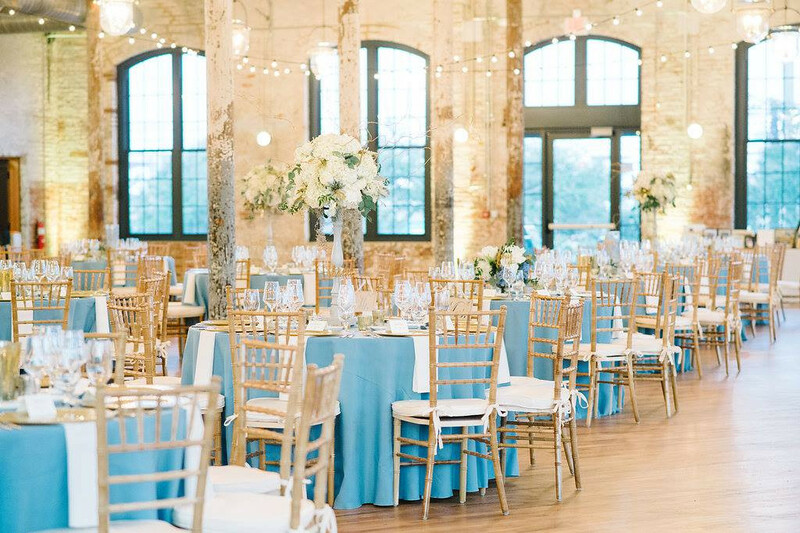 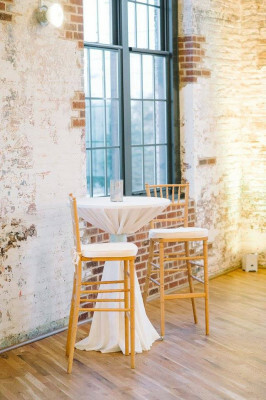 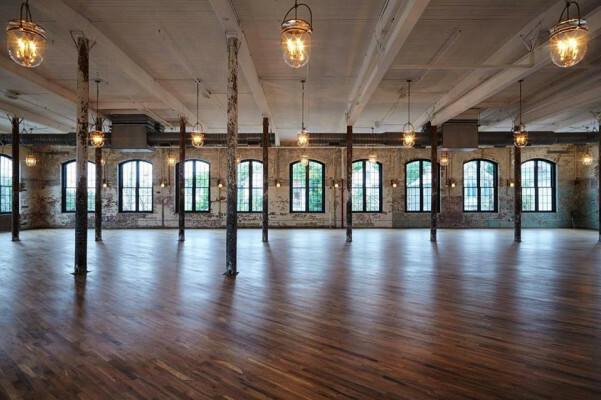 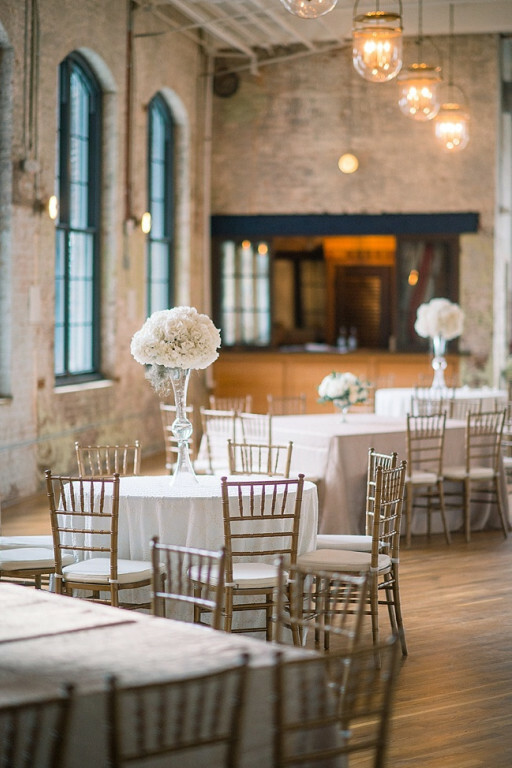 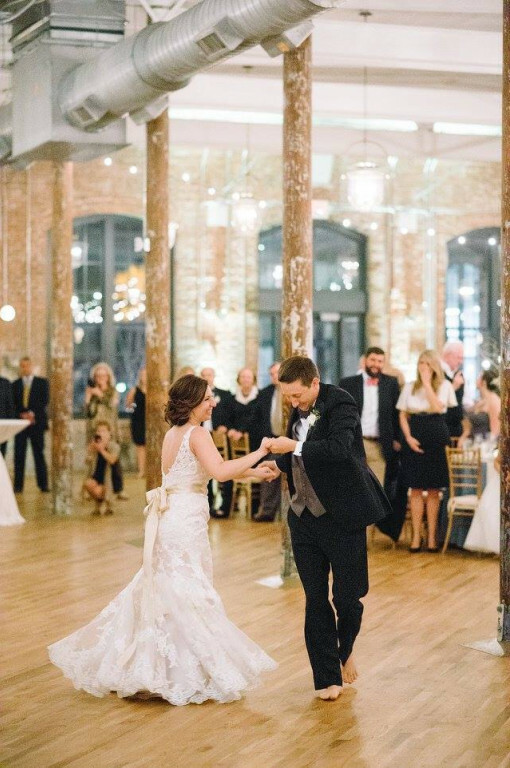 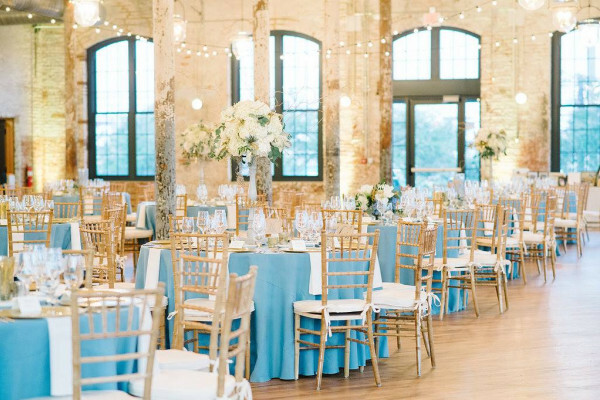 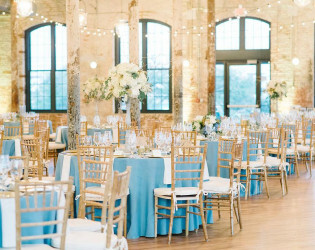 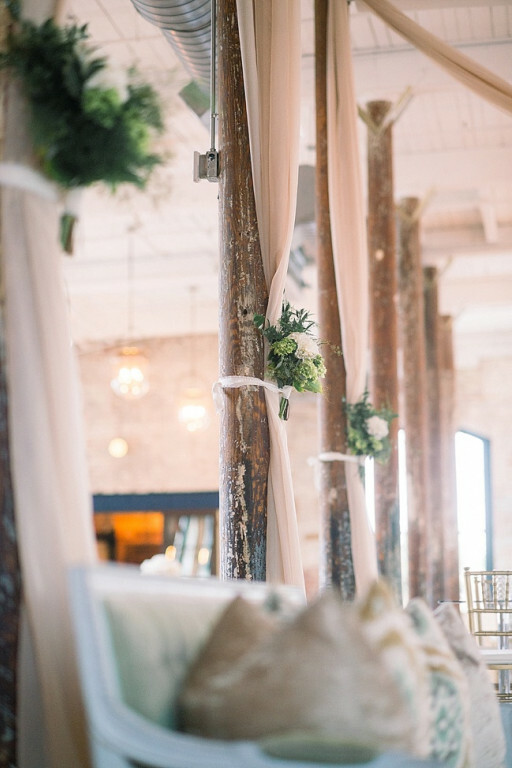 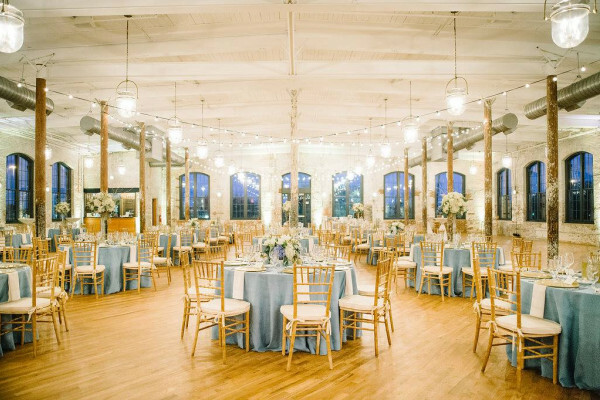 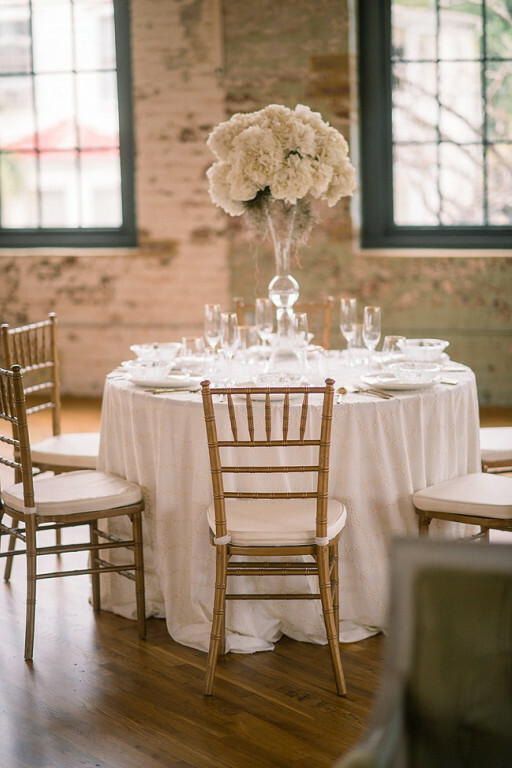 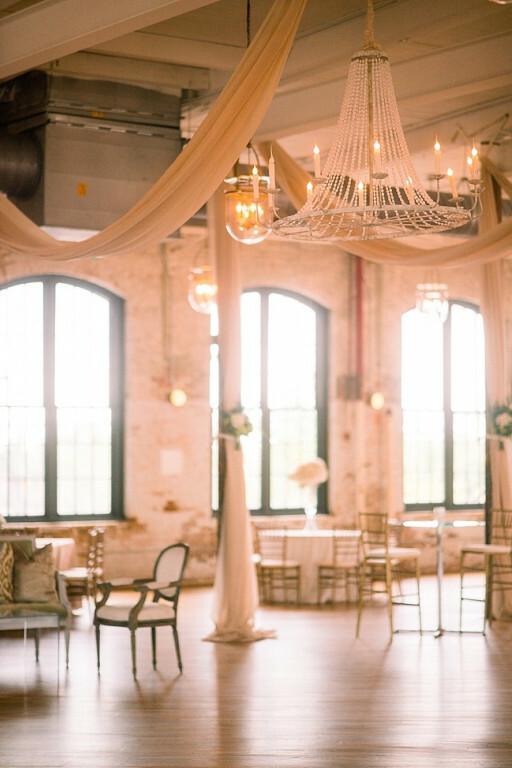 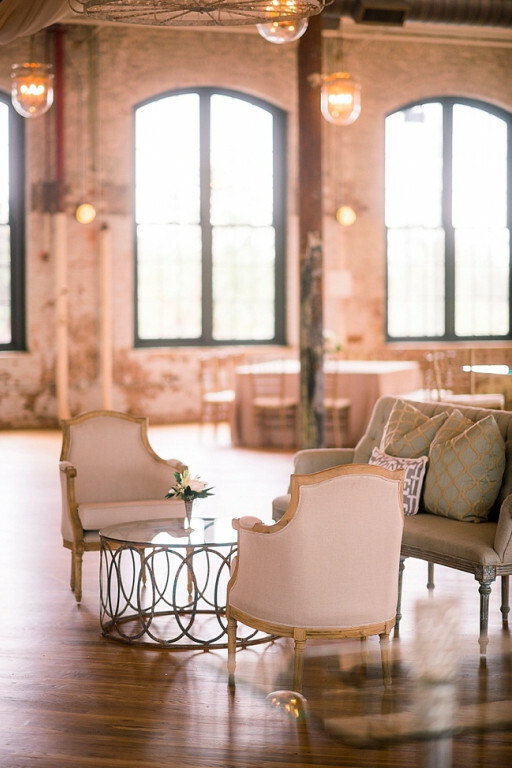 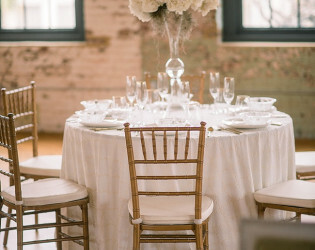 The Cedar Room, the private event space at the Cigar Factory, was designed by architect David Thompson to be an open space featuring historic wood columns, blonde reclaimed wood floors from the original space and rustic elements of the circa 1881 building. 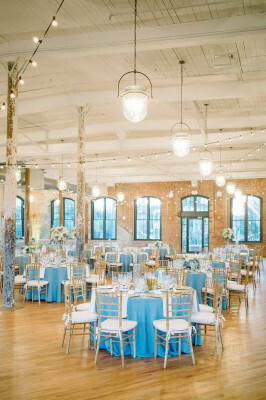 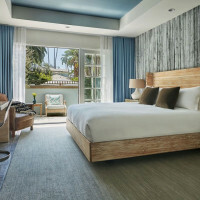 The walls consist mostly of floor to ceiling windows that reveal views of landmarks such as the architectural acclaimed Arthur Ravenel Jr. Bridge, the SC Ports Authority and the beautiful Cooper River. 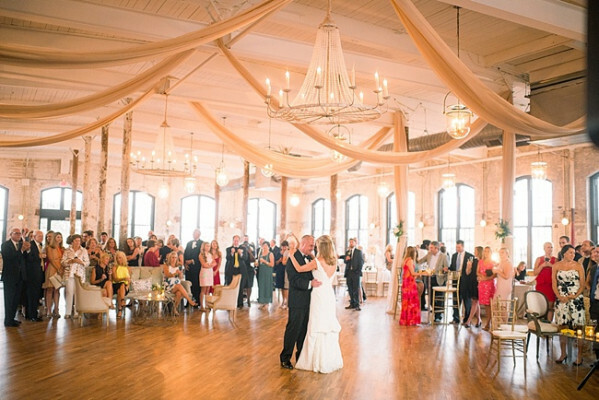 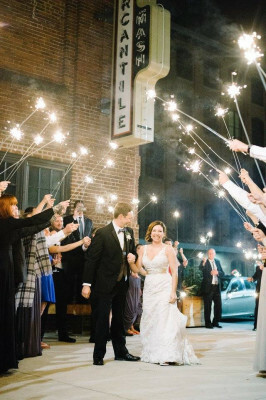 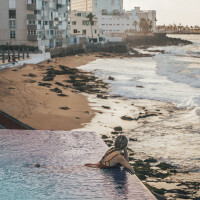 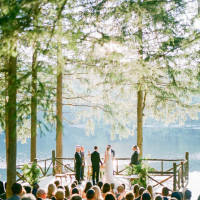 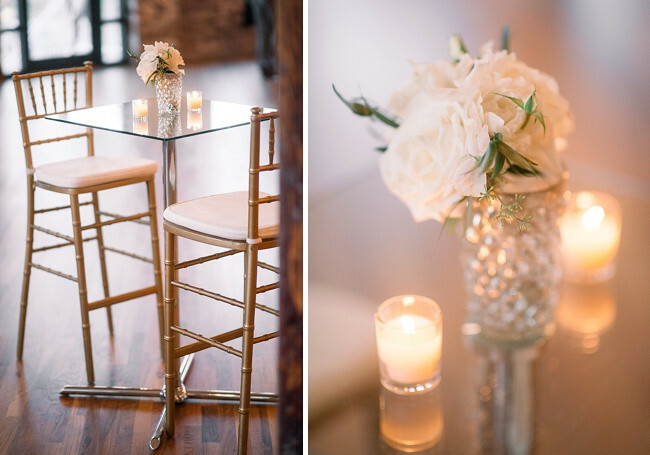 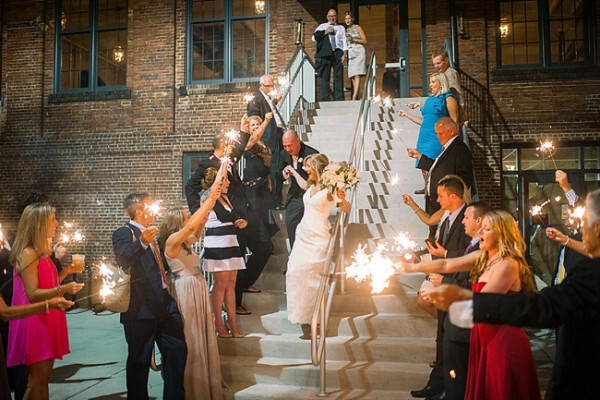 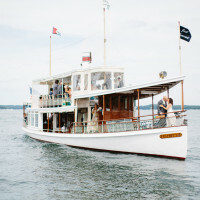 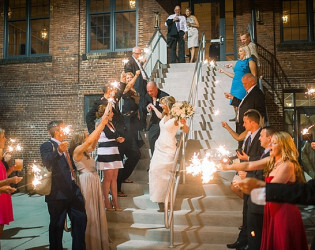 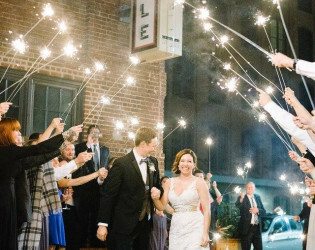 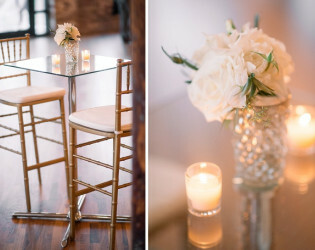 It is one of the only venues in the city offering waterfront views. 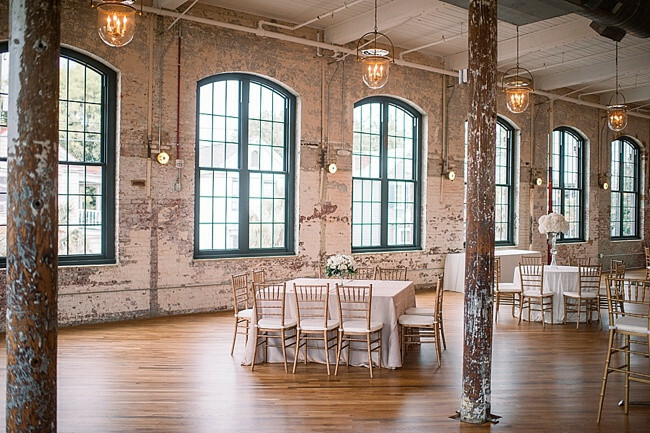 The Cigar Factory was built in 1881 and served as a textile factory, a Cotton Mill, and then a cigar factory for over 60 years. 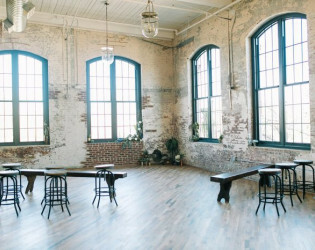 During the 1930s, the factory was the largest private employer in Charleston with about 1,400 workers generating more than 400,000 cigars daily. 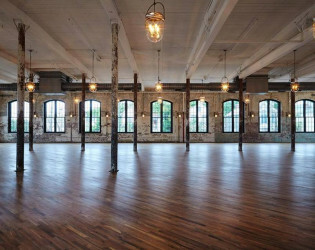 The building was added to the National Register of Historic Places in 1980, and several parts of the original warehouse structure will be preserved and restored in the redevelopment of the space. 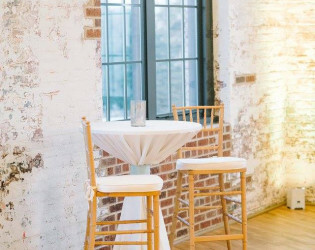 The Cedar Room is an open and airy space, featuring historic wood columns, hardwood floors from the original space and rustic elements of the circa 1881 building. 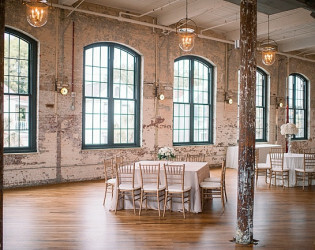 The walls consist mostly of floor to ceiling windows that reveal a view of the architecturally acclaimed Arthur Ravenel Jr. Bridge, the SC Ports Authority and the beautiful Cooper River. 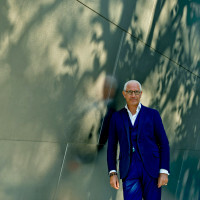 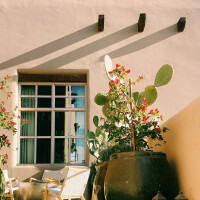 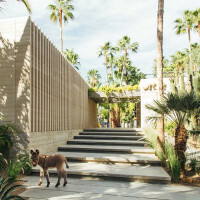 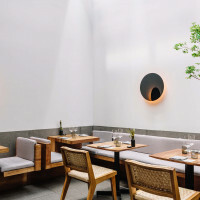 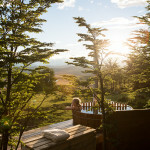 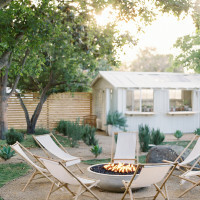 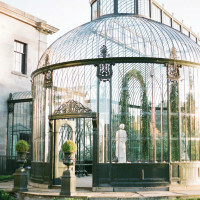 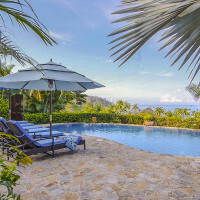 Outside The Cedar Room, is a 1,500 square foot courtyard featuring additional seating and entertaining space and gardens available for clients to utilize. 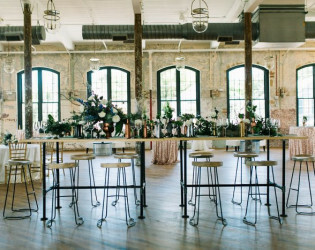 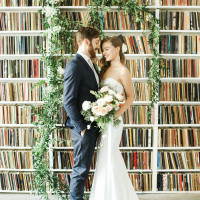 Inside, the space features a bridal suite, event staging locations, a built in service bar, a coat check area and storage spaces. The professional kitchen houses an 8 ft. hood system, 6 burner range, double stack convection ovens, an ice machine, washing areas and several counters with heat lighting for caterers. 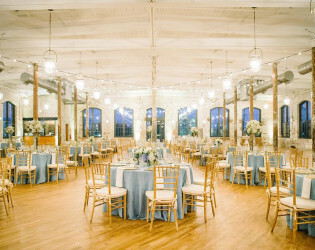 Parking is available for guests and event management, security and rentals will be available for an additional cost. 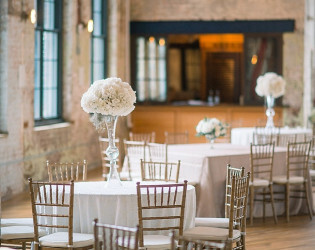 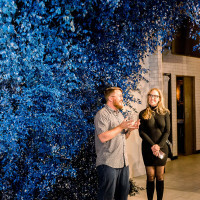 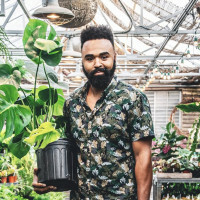 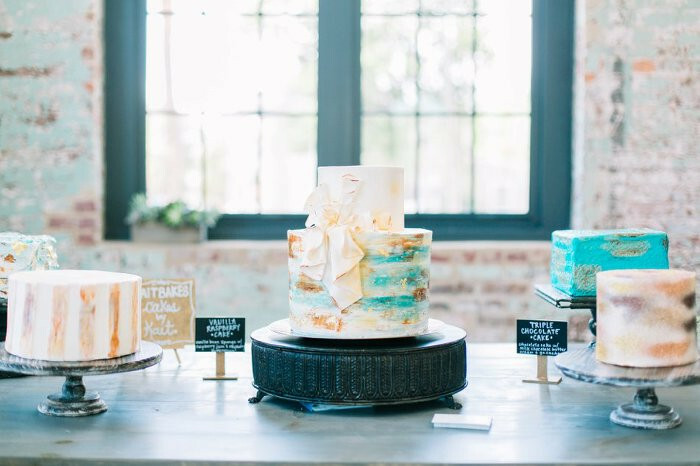 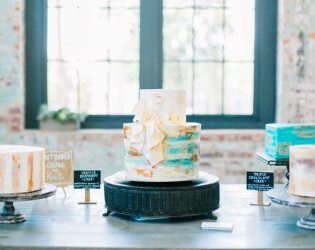 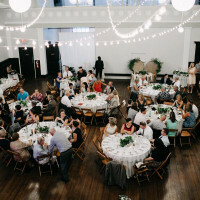 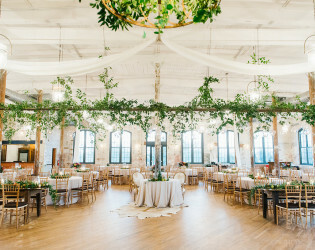 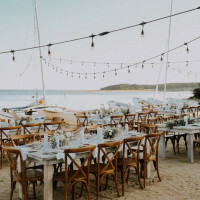 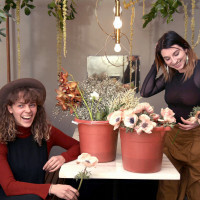 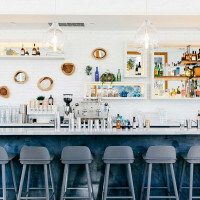 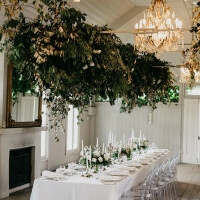 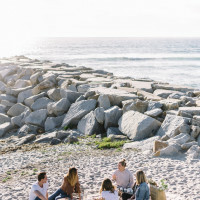 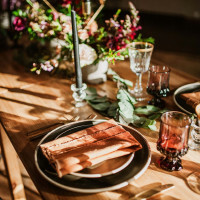 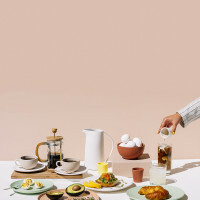 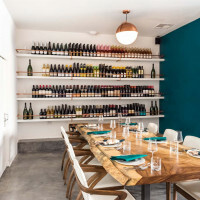 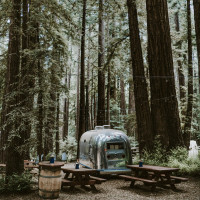 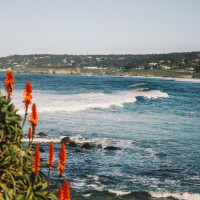 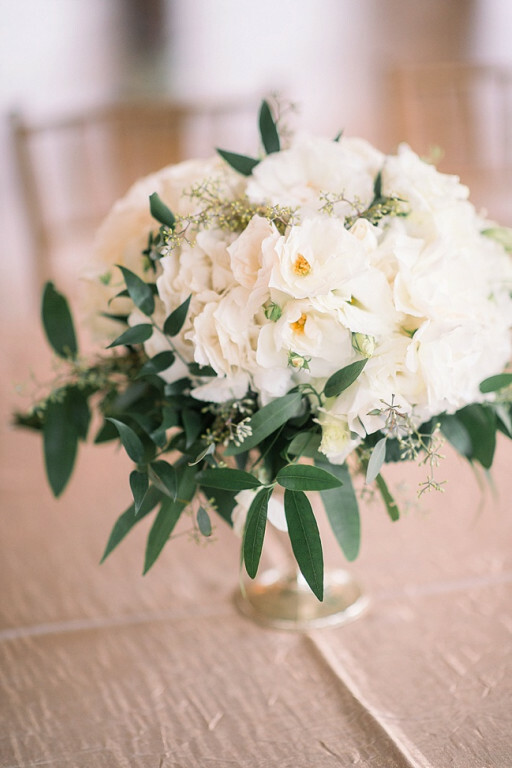 Operated by The Indigo Road group, The Cedar Room's preferred caterer is Mercantile, the new culinary market and eatery that is below The Cedar Room. 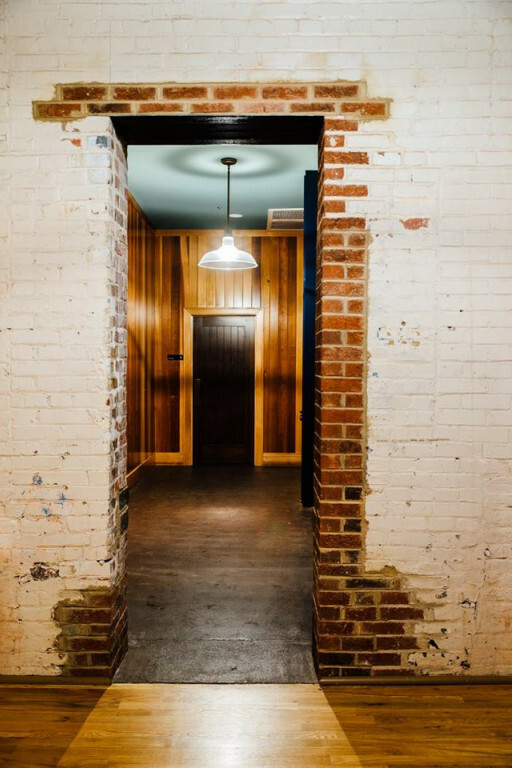 The exclusive bar service will be with Bar Mash, the new downstairs bar below the space. 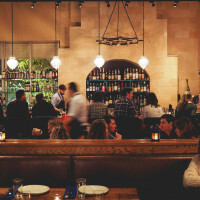 Bar Mash is a cozy American whiskey and beer bar offering a thoughtfully crafted selection of domestic whiskeys, beer, wine and craft cocktails. 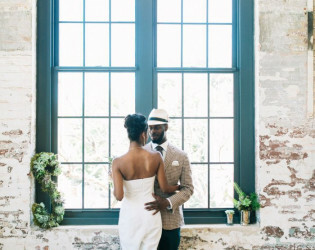 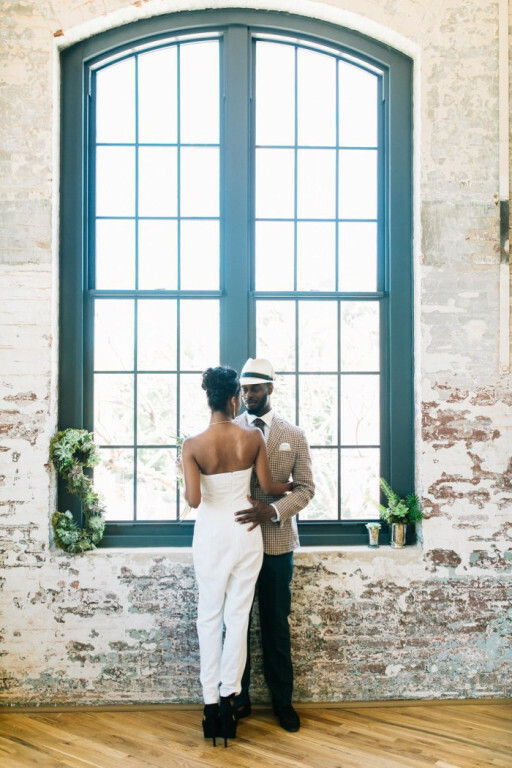 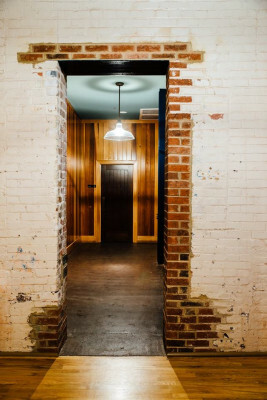 Exposed brick walls add a nice touch of character to the space. 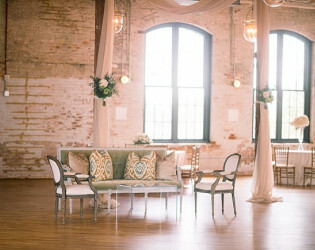 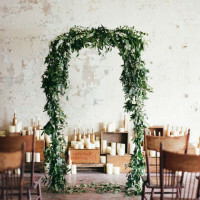 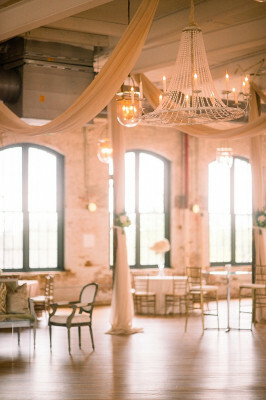 Tall centerpieces work well in this space due to the high ceilings. 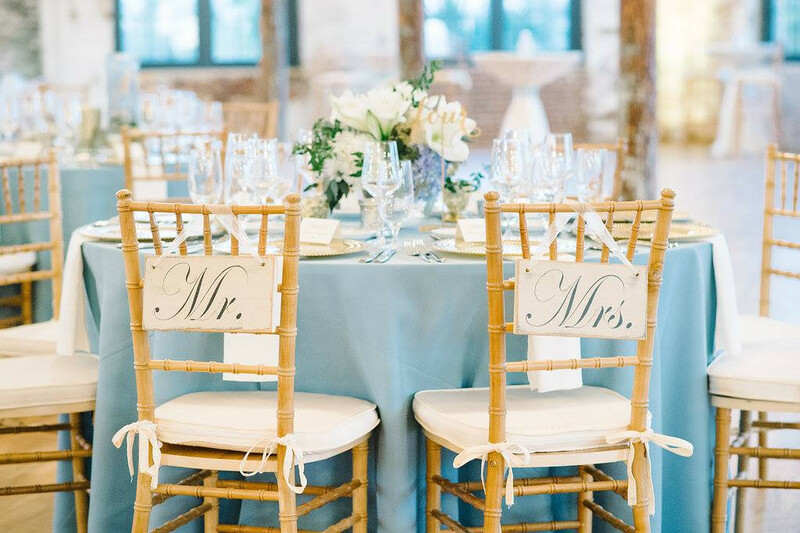 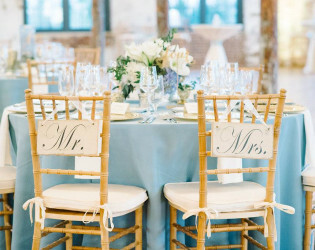 Mr. and Mrs. chair signs. 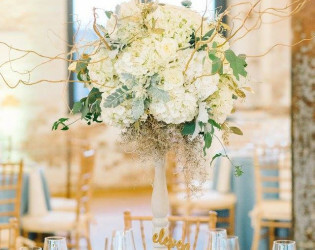 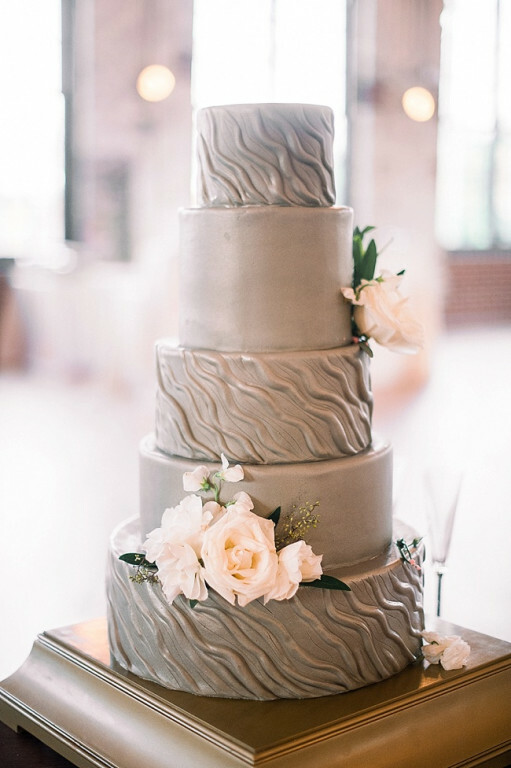 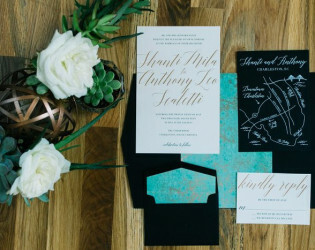 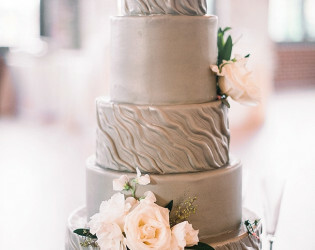 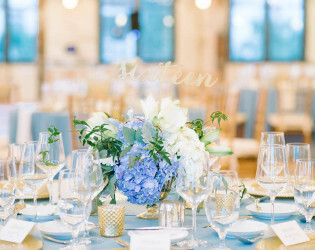 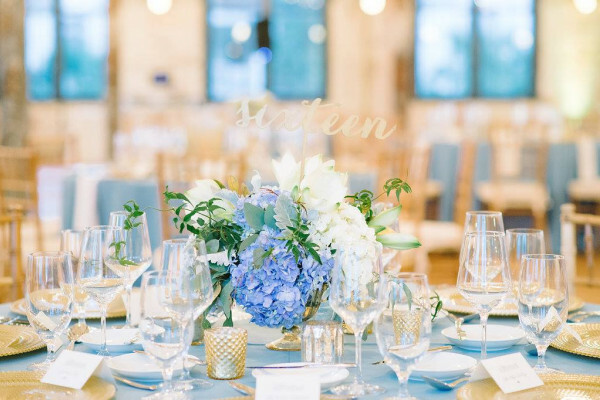 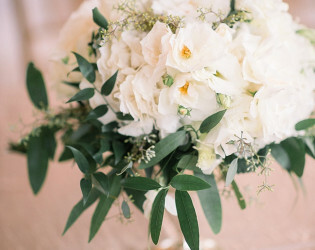 Blue winter wedding at The Cedar Room. 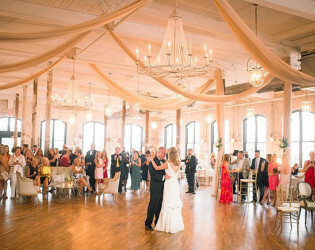 Wide room shot of the reception space. 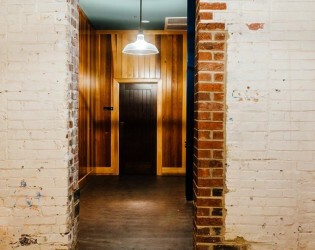 The exclusive bar service will be with Bar Mash, the new downstairs bar below the space. 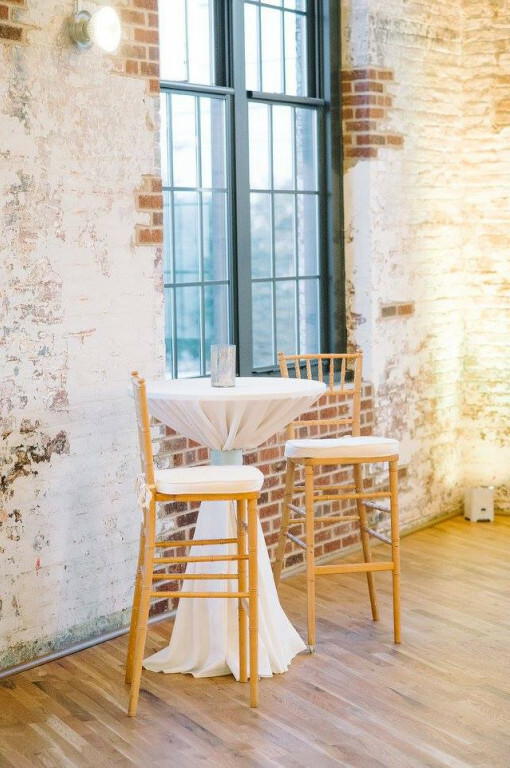 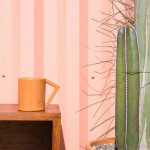 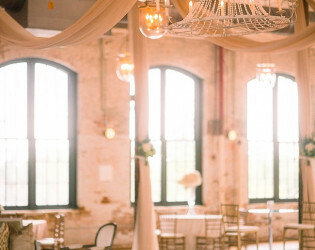 Exposed brick adds a nice touch of history to the venue. 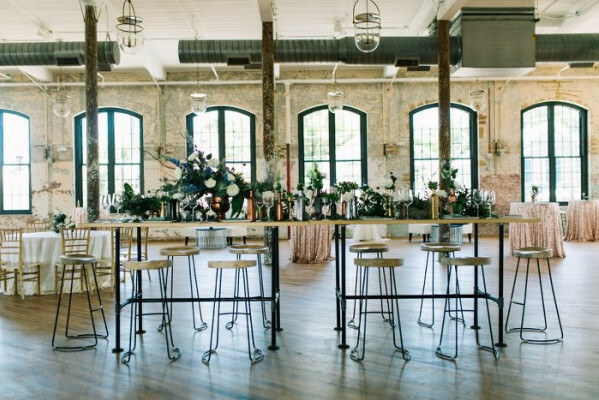 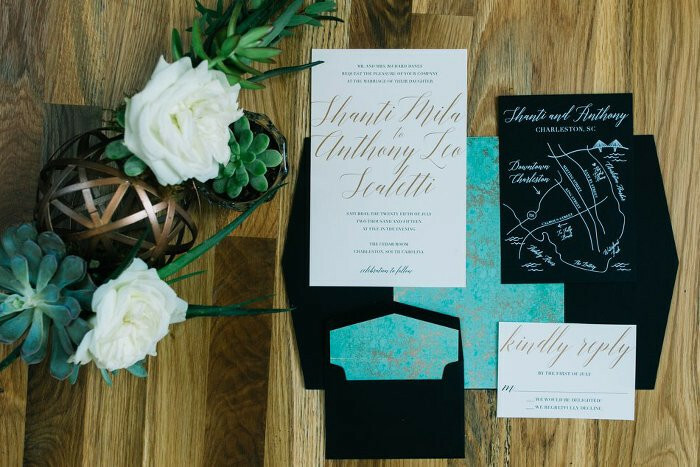 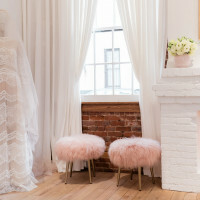 Inside, the space features a bridal suite, event staging locations, a built in service bar, a coat check area and storage spaces.